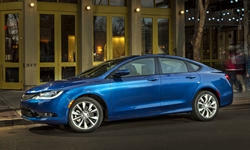 Chrysler 200 Pros and Cons | Page 1 of 1 | Why Not This Car? What drives people to buy (or not buy) a certain car? 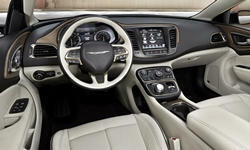 TrueDelta's members share Chrysler 200 pros and cons based on their real-world driving experiences. Many people buy Honda Accords. Many people buy all-wheel-drive crossovers. So why doesn't anyone buy an all-wheel-drive Accord? Perhaps because Honda doesn't offer one. But, with the thoroughly updated 2015 Legacy, Subaru essentially does. If you've been seeking an all-wheel-drive Accord, your quest can now be fulfilled. The last time Chrysler fielded a fully competitive midsize sedan was...a long time ago. The 2015 200, though, looks promising, with attractive styling, European underpinnings, a wide range of available features, and competitive pricing. Once driven, how does it measure up?